This Deluxe Kabuki Brush is made with the most amazingly soft 100% synthetic bristles and is softer than most natural bristle Kabukis. 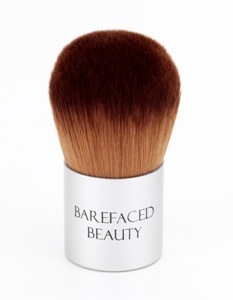 Unlike most types of synthetic brushes, this one is specially processed to work efficiently with powders. The bristles hold mineral powders with perfection and provide as little or as much coverage from your foundation as you wish (with virtually no shedding). The super soft synthetic hairs are ideal for sensitive and delicate skin. 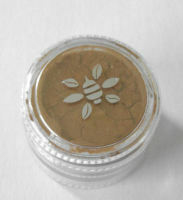 This is the mini size brush so - a fabulous size for the handbag and travelling. Don't forget your mini foundations to go with your mini brush. Please note that for the correct application of mineral cosmetics it is recommended you use a superior quality, cosmetic brushes. If you use a lower quality brush, the results will not be as good.